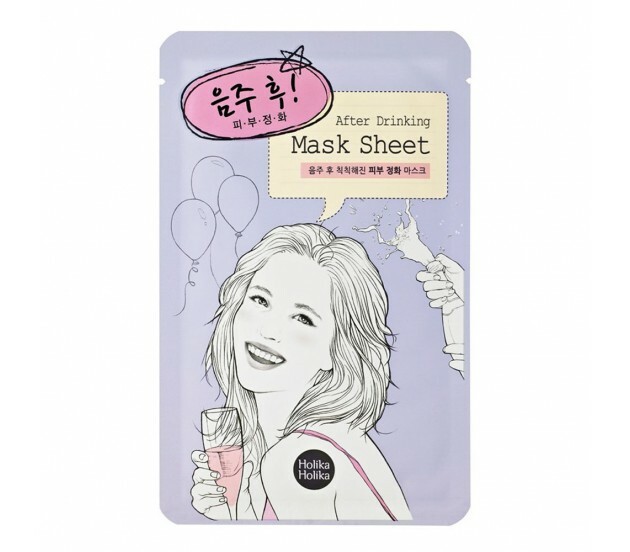 After Drinking Mask Sheet is formulated with green tea extracts, rose oil and cabbage root extracts to soothe and relieve tired and rough skin caused by drinking alcohol. Skin becomes smoother and brighter, it also gives you a feeling of confidence in freshness all day long. After Mask Sheet - After Drinking. Apply to your face after cleansing. Leave it for about 10-15 minutes. Take it off and massage gently until all the residues on your face are absorbed.